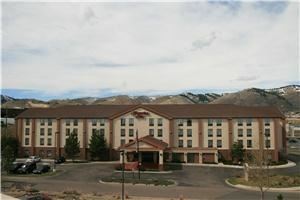 The Hampton Inn Denver-West/Golden is easily accessible to Interstate 70, Hwy 6 and Hwy C-470. Our meeting space can accommodate up to 70 people. We also have smaller boardrooms available too! The rooms have beautiful mountain views and lots of natural lighting.